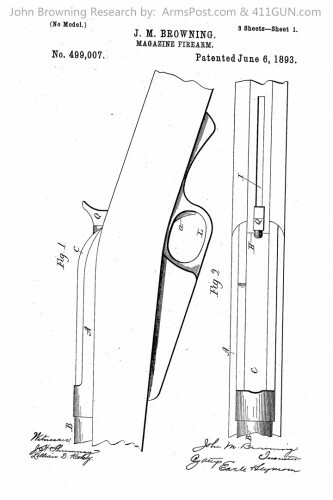 John Moses Browning was granted US Patent 499007, a Magazine Firearm, on June 6th, 1893. 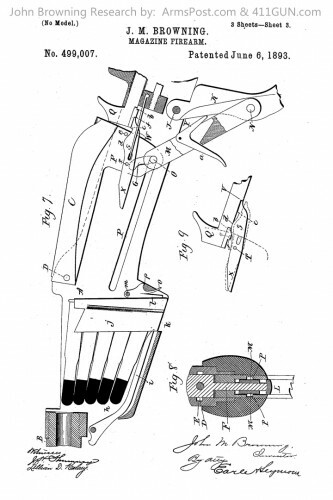 He had applied for this patent on October 15th, 1892. 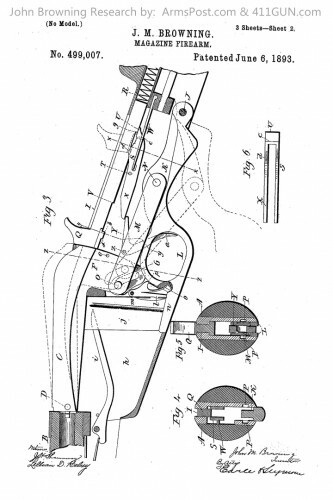 Like many of his patents right around this time period he was using the stacked clip he patented a few patents earlier. This clip was inserted completely into the firearm.